Enterprise-wide GIS solutions incorporate database, server, desktop and mobile software and can be integrated with other business systems to deliver benefits such as centralised data management and improved access to geographic information to aid decision making. 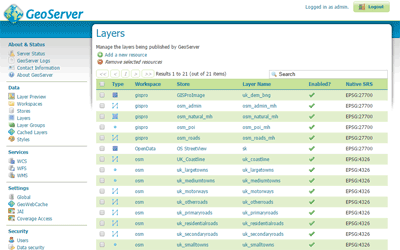 Feel free to browse a selection of our enterprise software products below. GIS4BUSINESS has been designing, configuring and integrating enterprise GIS and mapping solutions for customers in a variety of industries many years. We can architect, supply and implement on-premise, cloud-hosted or hybrid solutions that are the best fit for your requirements. 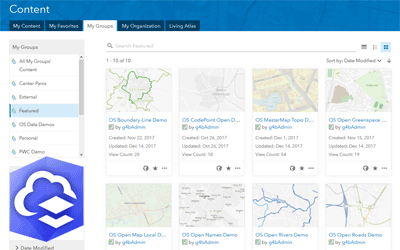 Esri ArcGIS® Online is a fully hosted cloud-based mapping platform for creating and sharing GIS data, maps and apps that can be consumed on a variety of devices. The solution is scalable, secure and requires no investment in expensive server infrastructure. 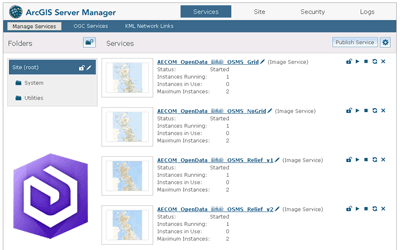 GeoServer is an OGC compliant server for publishing maps and spatial data using open standards such as Web Feature Service (WFS), Web Map Service (WMS) and Web Coverage Service (WCS).